Are We There Yet? : Road Trip 5, 2017. 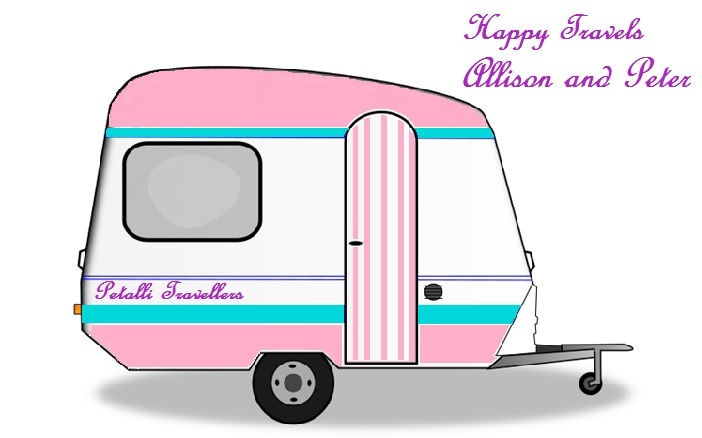 Our next trip was a short trip via Fossickers Way to Tea Gardens to celebrate a family birthday. We left later than we had planned, but only had to drive about 100km to Heifer Creek at Fordsdale. This is a spot we have often driven past on the way to and from the Darling Downs. 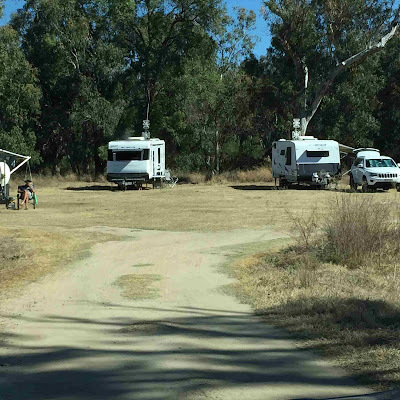 There were already a few vans there when we arrived, so we set up beside the creek on the right hand side. There is no phone or normal TV reception so I was glad we had satellite TV. It was a quiet and a place we would go back to. The next day we decided to drive to Texas, on the Queensland / New South Wales border. 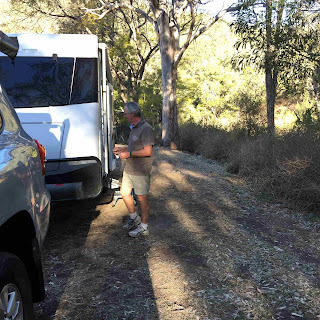 We drove via Stanthorpe on a road less travelled, and we are glad we did. Texas is a lovely little town, and almost everyone we passed said hello or smiled. Our first stop was the information centre, and the lady there was very informative. We walked up one side of the street and down the other. The council has placed historic information boards outside the buildings in the main street. I wish all towns would do this as history is so important. 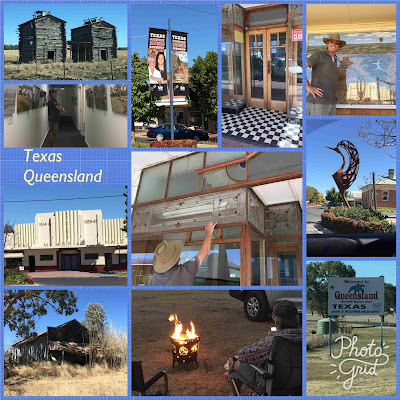 Texas is on the banks of the Dumaresq River, as is our camp, and the town is a RV friendly town. There are toilets and showers in the town, and a lovely area has been set aside for self-contained vehicles. It has no facilities, but is picturesque and is a donation camp. Texas is also the first official motor cycle friendly town in Australia. The beginnings of Texas lie in the establishment of a station about 1840 by the McDougall Brothers. They left their land in the 1850's to try their luck in the goldfields, and when they returned their land had been taken over by another settler. A legal battle followed and it was some time before they could reclaim their land and the McDougalls named their property Texas after the similar dispute between Texas USA and Mexico (1836). The original town of Texas was closer to the river, but after the floods of 1890 and 1921, the township was moved further up the bank to where it is now. A few of the original buildings remain on the original site, including the original Texas Station. The primary industry is sheep and cattle grazing, but breeding and a variety of other industries are growing. Historically, tobacco was a main industry,as was rabbit processing. Although tobacco growing and processing no longer exists in the area, many tobacco drying barns can still be seen in the area. 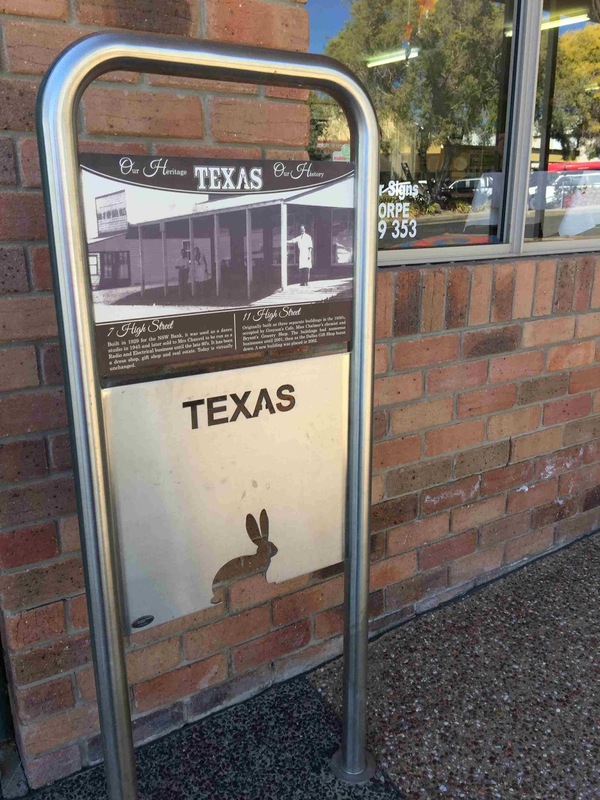 Also in Texas is a historical rabbit works. The factory was established in 1928 and employed many town folk during the depression. Rabbits were in plaque proportions in the early days and the rabbit works would send the dead rabbits to England. After the demand for rabbits declined in England, they were sold around Australia. In 1950's, the rabbit skins were sold to Akubra and other fur markets. Our campsite was lovely and not too far from the river, so we decided to stay an extra night. We went back into town and had morning tea before going the lookout. As lookouts go, this one is not that good, so we headed back into town to see where the up coming country music festival will be held, and then back to town to get some meat from the local butcher. It was so good and tender, that even I – the non meat eater - enjoyed it, so we went back again the next day to stock up on some more. We were very fortunate to have met a lovely man at the council who told us a lot about the area, and the history. We were looking at the photo display in the art gallery, which is in the same building as the library and council offices, and when looking at the 2011 flood photos we wondered where the race course was and this lovely fellow left his desk and proceeded to show us where things were and tell us more of the history. A lovely place, Texas. We will be back, and stay longer next time. Meals at the pub were great as was the wonderful meat from the butcher. Texas sounds a very interesting place. 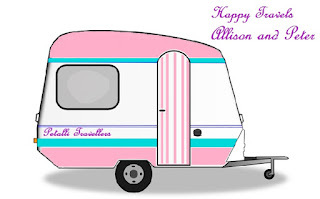 Here in New Zealand we also have "Motorhome Friendly Towns" fr people traveling by.